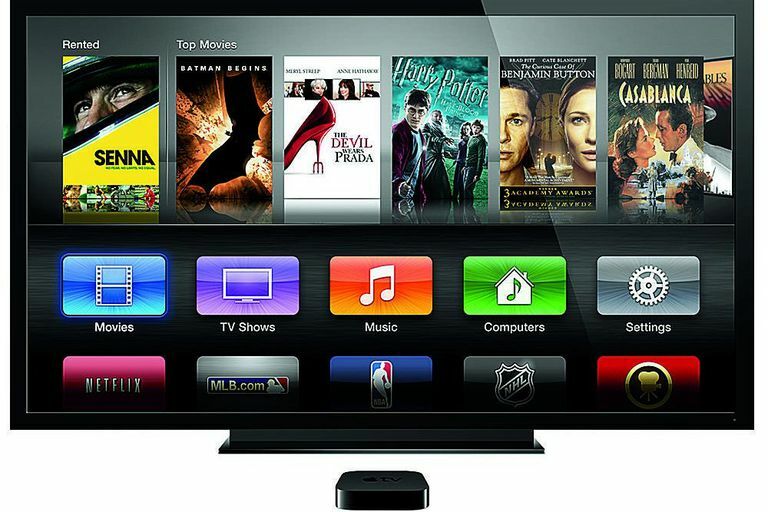 The second-generation Apple TV is the successor to the original Apple TV, Apple's first entry into the set-top box/Internet-connected TV market. This article details its key hardware and software features. It also provides a diagram to help you understand what each of the device's ports does. While the original Apple TV was designed to store content locally—whether by syncing from a user's iTunes library or via download from the iTunes Store—the second generation model is almost entirely Internet-centric. Instead of syncing content, this device streams content from iTunes libraries via AirPlay, the iTunes Store, iCloud, or other online services using built-in apps like Netflix, Hulu, MLB.TV, YouTube, and more. Because it doesn't need it, the device doesn’t offer much in the way of local storage (though there is 8 GB of Flash memory used for storing streamed content). The second-generation Apple TV debuted with a price of US$99. This image shows the back of the second-generation Apple TV and the ports that are available there. Each of the ports is explained below, since knowing what each does will help you get the most out of your Apple TV. Power Adapter: This is where you plug in the Apple TV's power cord. HDMI port: Plug an HDMI cable in here and connect the other end to your HDTV or receiver. The Apple TV supports up to the 720p HD standard. Mini USB port: This USB port is designed to be used in service and technical support, not by the end user. Optical Audio jack: Connect an Optical Audio cable here and plug the other end into your receiver. This allows you to enjoy 5.1 surround sound even if your receiver doesn't support getting 5.1 audio via the HDMI port. Ethernet: If you're connecting the Apple TV to the Internet via a cable rather than Wi-Fi, plug the Ethernet cable in here. Apple TV Not Turning On? Here's how to fix it.